After writing about Why Hufflepuff Is the Best House, my friend Erica requested that I write a similar blogpost for each of the houses. 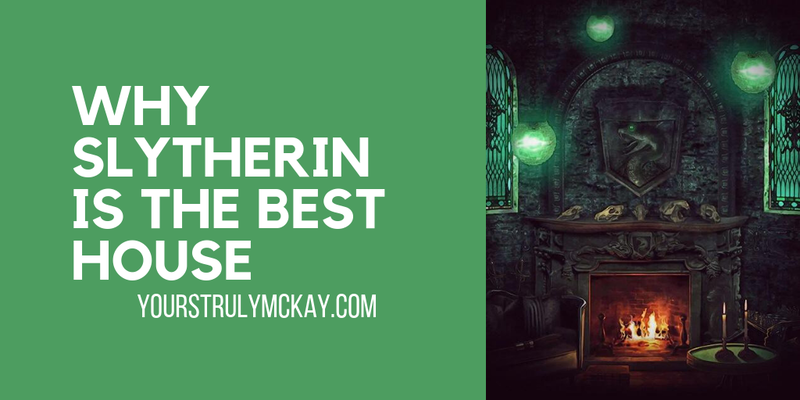 So here is the second installment in this blogpost series: Why Slytherin Is the Best House (and it's Erica's, so I figured it was a good choice for the next post). Slytherins get a bad rap. Just because most of the Slytherins that we got to know in the series were pathetic, evil human beings does not mean that all Slytherins are. When I was younger, Slytherin was actually my second-favorite house (I'm still a Ravenclaw through and through, though)! Salazar Slytherin himself was pretty problematic. Just because he was a wizard-racist freak, however, does not discount the importance of those who are Cunning, Ambitious, Creative, and Resourceful. Slytherins are hard working and desire success. They are known to achieve great things (even if not always good things). They are the kind of people who make you want to be better just by being around them. They are determined and resourceful. There's not a challenge that a Slytherin can't handle, and for that reason, you want them on your team. They can be self-serving, but we are shown multiple examples of them being self-sacrificing as well. Draco Malfoy himself was willing to help Voldemort solely to protect his parents. The characteristics that Salazar Slytherin admired most are the same that I strive to demonstrate. I want to find creative solutions to life's most difficult trials. I want to be ready, to show up, and to work hard. I think all of us would want to be Slytherins, and we shouldn't let Voldemort ruin their image. There are a few of Slughorn's moments that make me cringe, but overall I'd say that he's a pretty stand-up guy. His reasons aside, Slughorn agreed to come back to Hogwarts even though he knew it meant that he would have a target on his back. Even if he himself was mildly wizard-racist at times, he opened his heart to the talented students that he met. He was able to recognize that having a talented family member is not the only sign of potential in a young witch or wizard. He himself is a talented wizard, and it showed. I don't think there's anything wrong with protecting yourself and doing your best to survive, as long as you're not throwing others under the bus in the process. Horace Slughorn showed up in the moments that mattered most. Narcissa is, you guessed it, also problematic. We don't know much about her past, but in my eyes - and this is just speculation - Naricssa had an extreme change of heart when she became a mother. We know that she loved Draco and protected him at all costs - even going as far as protecting Harry from Voldemort in the Forbidden Forrest. But once she and her husband were in with Voldemort, there was no way to escape with their lives. She technically was never a death eater, and in comparison to her sister Bellatrix, Narcissa is basically a saint. I think that Narcissa shows us unbelievable redeeming qualities, and was doing what she could to survive the life that she no longer wanted to be a part of. Although that wizard-racism was still ingrained in her, nothing mattered more than her son. Severus Snape is the most confusing Slytherin to me, but I will say that in the end, he did what was needed to protect Harry and to protect the students of Hogwarts. He lived a lie for almost two decades because he knew that Voldemort could not go on. 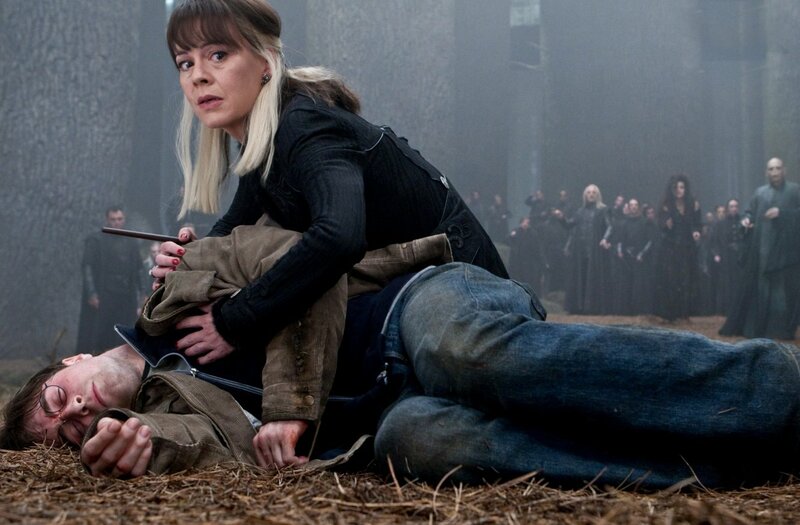 He died for the greater good (but not that greater good, Grindelwald). He used his cunning against Voldemort, and provided the means for Harry to defeat the Dark Lord in the end. It seems that most Slytherins were raised hating those that were "less-than." Despite this, Slytherins were able to put their pride aside - one of their most prominent attributes - to help the people that they cared about most. And that's why Slytherin is the best. Was waiting to see if I would get a mention... We have a lot of problematic figureheads, but "evil" isn't in our house description.